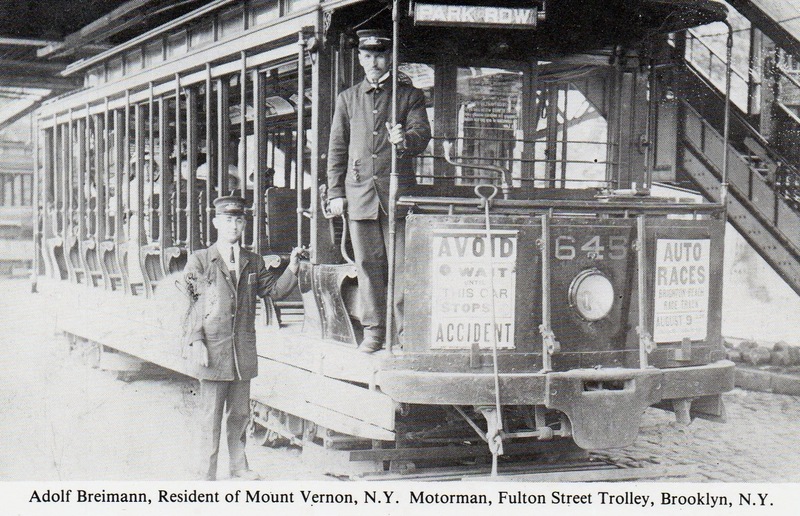 On July 22, 1900, John Wigmore jumped on a trolley car at Flushing headed for Far Rockaway. The 20-year-old, who lived in a New York City tenement and caned chairs for a living, according to the U.S. Census, was thrown off the car by either the conductor or the motorman after he refused to pay an extra fare when the train passed Jamaica. He badly injured his side when he fell in the roadway. When the train operators saw he was hurt, Wigmore was taken back on the car and carried to Far Rockaway. He went home by another route. Unfortunately, two weeks later, John died in Flower Hospital of the wounds he had received from the fall. At the time of his death, John had been living at E. 74th Street as a boarder with the Johnston family. His sisters Katie and Annie lived with different relatives a few blocks away. Their father, Stephen, had died only three months before. Outraged over what happened to her cousin, Margaret Wigmore, my great grandmother, sprung into action. The 31-year-old mother of three children, who lived in a rental apartment, sued the railroad for John Wigmore’s death. “This happened at a time when poor, Irish girls weren’t suing railroads,” says Judy Herbert, the family historian who discovered newspaper reports of the proceedings. Margaret Wigmore was taking on some powerful legal forces. The defendants — Conductor Thompas Chivers, 22-years-old of Rosedal, L.I., and Mortorman Henry Smith of 58 William Street, Jamaica — were represented by William E. Stewart. Counsel for the New York and North Shore Railroad Company, Stewart had formerly served as Assistant District Attorney of Long Island City. Coroner Antonio Zucca held an inquest into John’s death. He concluded that the cause of John’s death was abdominal wounds received by falling on a stump, which resulted in peritonitis, according an August 7, 1900 article in the New York Times. The jury found against the defendants “for the manner” in which they put Wigmore off the car for not paying his fare. “The defendants were held in $5000 bail for trial, and in default of bonds were committed to the Tombs,” the article reads. The Tombs, one supposes, would be jail. However, the pair were released two months later when a grand jury failed to indict them in the death of “the newsboy,” as the headline read in Brooklyn Daily Eagle. The defendants were released from custody on Monday, October 15th. But that didn’t stop Margaret Wigmore. The “administratrix” of the estate of Thomas, as she was called in a January 1901 newspaper account, sued the railway company for damages and won a $5000 verdict in the Supreme Court. According to the Inflation Calculator website, that amount would be worth about $127,000 in today’s dollars.